Take the spiral staircase up out of this busy Old Street boozer and you find yourself in a small, chic dining room with big picture windows, hardwood tables and a light, luxurious vibe. My Princess immediately clocked their vintage wallpaper which matched the sign outside, and I have to say the decor is worth a mention - very nice. More importantly, the food is top notch. Friday night and The Princess was pretty busy, with a few sizeable parties in, but the smiling staff were juggling the lot with aplomb. The wine list is pretty long in true gastro style but the waitress was knowledgeable and a subtle bottle of Sangiovese was well judged given our varied orders. The menu is pretty adventurous but with a sensible emphasis on preparation and good ingredients, allowing fast turnaround from the kitchen. Crab and prawn risotto was lovingly prepared and richly flavoured, while a beef carpaccio was unremarkable but cleverly accompanied with sweet relishes. Our main courses were even better. Organic chicken with cucumber salsa was grilled and stacked high on the plate, a monstrous meal but somehow it disappeared. Seared tuna and rocket salad was marginally less original but still delicious, and perfectly cooked with a red centre. By the time our chocolate pot pudding arrived we both realised we had eaten far too much and although it was aromatic and wonderfully rich we were compelled by embarrassment and possibly the wine to lob it out of the window, showering the Shoreditch pavements with scalding brown fudge. Creamy cappuccinos finished off an entirely satisfying meal. Gastropubs are ubiquitous in London at the moment and every boozer with a kitchen is having a go, but this elevated dining room is a class act. The Princess has an original menu and the skills to pull off some fairly daring dishes. The only thing reminiscent of pub grub about our delicious meal was the portions. Massive, they were. The Princess of Shoreditch gyms, sporting activities, health & beauty and fitness. The best pubs near London The Princess of Shoreditch. The Princess of Shoreditch clubs, bars, cabaret nights, casinos and interesting nightlife. 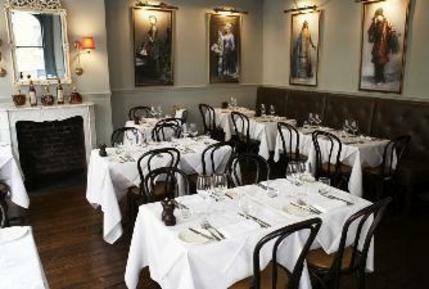 Where to have your meeting, conference, exhibition, private dining or training course near The Princess of Shoreditch. From cheap budget hotels to luxury 5 star suites see our discounts for The Princess of Shoreditch hotels, including Courthouse Hotel Shoreditch from 80% off.